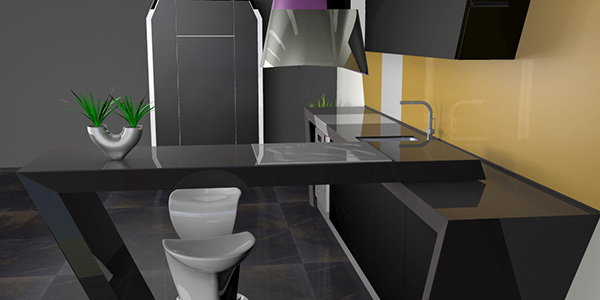 Thanks to feedback form we received from students, we update and improve our course content constantly, in an effort to keep the program relevant to kitchen design industry. PIETRO AROSIO was born in Liss in the province of Milan March 20, 1946 After graduating from the Institute of Applied Arts in Monza, is formed professionally in the research center of the AF & F company, specializing in the production of metal furniture for public spaces. Quest ‘ work experience has served to clarify and define Pietro Arosio for himself a design philosophy can be pursued over time as an industrial designer. 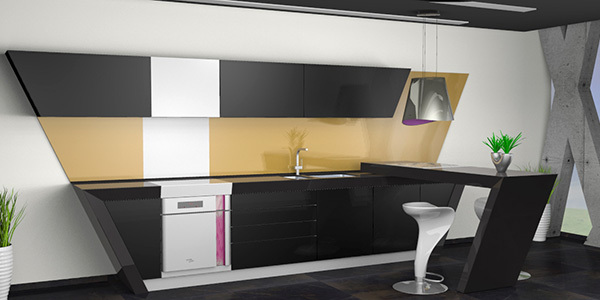 In 1972 he began his independent activity, effective in those years was the work done in the design of kitchens began in 1978 and recognized through the first prize Casaviva Gold in 1983. essentiality in the shape of the object, the constant search for new materials and technologies applicable, the detailed definition of each particular already in the design phase with the engineering department of manufacturing companies, are key elements in the work of Pietro Arosio, that still does not underestimate the emotional aspect of the product, in some cases, has collaborated with internationally renowned artists such as medlar, Del Pezzo, Hsiao Chin, Tilson, Rotella, Keizo, for add an artistic value to serial products. Some of his works have been exhibited at the Victoria and Albert Museum in London and the Museum of Modern Art Die Sammlung Of Monaco. 55 years of experience, a new company! A paradox is easily explained with the birth in September of 2012 the new company which has taken over the historic brand Zaccariotto, the collection, the production unit and its most qualified workers for revive and impose on the world the Brand Zaccariotto.The new company is operating a real brand relaunch; focusing on a renewed and original new Zaccariotto wants to conquer new spaces in Italy and in the world thanks to its high-quality production , new collections are consistent with the changing lifestyles, the historical tradition of furniture manufacturers and its technical know-how.Zaccariotto The factory was established in 1958. 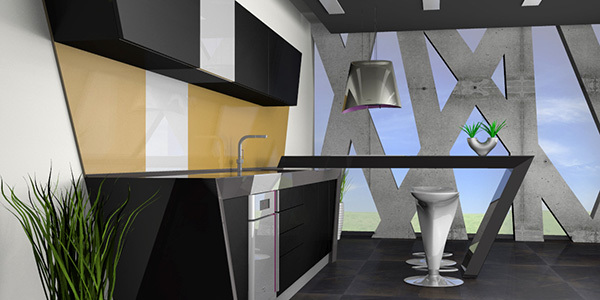 From small company quickly turns into an industry reaching the remarkable size of 2000 square meters production as early as four years after the founding. 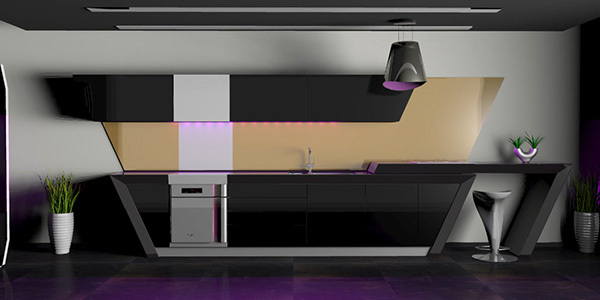 Industrial development in the field of modular kitchens allows the Zaccariotto to become a solid manufacturing Veneto known throughout Italy for the care of the product and the highest quality standards. 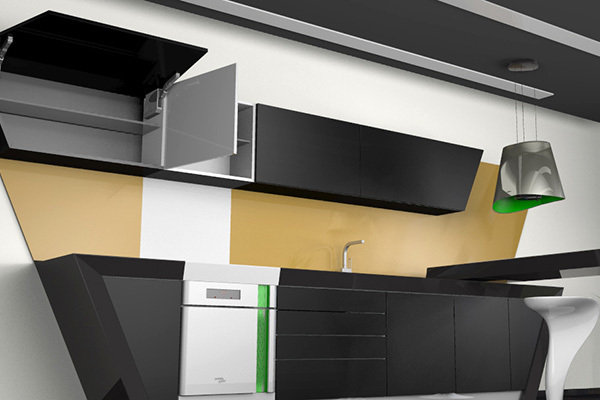 since the mid-nineties begins the adventure world, thanks to the complex and efficient production structure which has now reached 20,000 square meters and a capacity of 250 industrial kitchens produced per day. Zaccariotto Today, exports its products in 25 countries around the world: Europe, the Middle East, from Asia to the whole America, in several African countries as well as in Russia and Ukraine. His admirers and retailers are the first bearer of the historical culture of food production Made in Italy all over the world, knowing that the company constantly invests in research of materials certified for quality ( ISO 9001:2008 ), the echo -environmental compatibility, in the study of ergonomic solutions that respect the needs of anthropometric who loves to cook in an environment not only beautiful, but comfortable. design CR & S Zaccariotto - a model that uses the textural Unicolor laminate finishes such as stone, wood and plain refined to create unique solutions for different compositions. Available with handles or throat. design CR & S Zaccariotto - is part of the 22 SYSTEM, ie a system of doors 22 mm thick, which lets you mix model variants SIRIO with TIME and TIME with CIGAR. 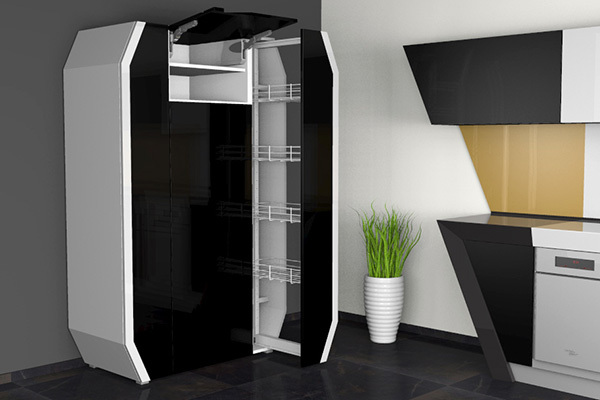 It is by far the more flexible model in our range. 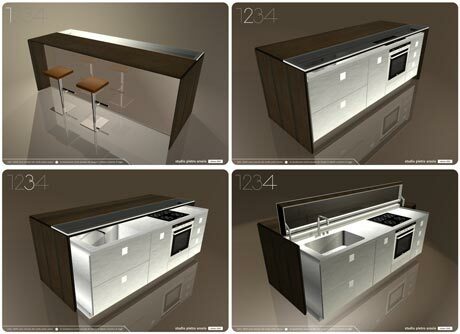 It has been calculated that employing the full range of finishes available – that’s 22 real wood veneers, 21 standard colors including matt lacquered with silky and shiny with polyester paint brushed by hand, the ability to use the full range of RAL matt and glossy, processing “craclé” in gold or silver leaf type, 22 handles as standard, in addition to being achievable in the linear version without handle and curve – the same composition can be presented in 106 thousand different aesthetic variations. We think that might be enough to satisfy even the most discerning palates. 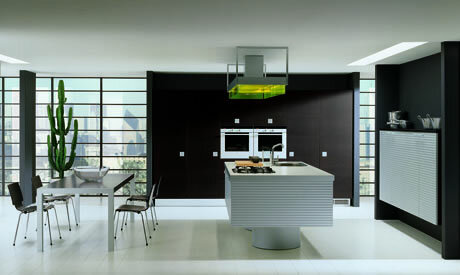 design CR & S Zaccariotto - is a model with glass doors worked with the effect of all the slats firmly attached to the inside of an indestructible aluminum frame. The special handle seems to emerge from the glass but is also attached to the frame. 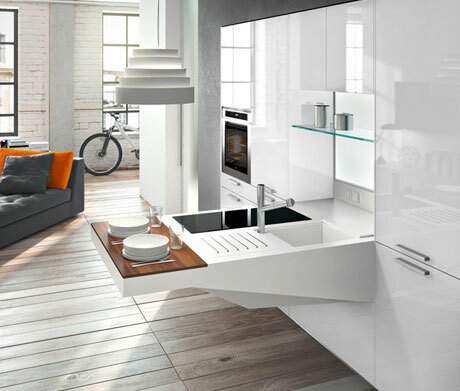 The entire product is fully recyclable through the use of materials such as glass and aluminum. 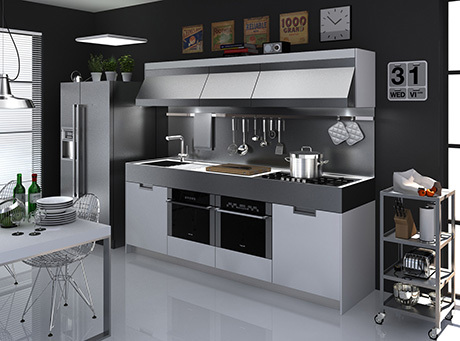 Ecological, unalterable intense use of the kitchen and robust because it does not suffer neither water nor heat, quest’anta is the best combination for those who like convenience, easy to clean and an unbound fashions. A valuable material for a top-class exclusive. The combination of an elegant ornamental frieze in the shape of the Greek capital, finished with details in silver or gold-leaved classic clew frame and mat lacquered in a wide range of colors available to taste with or without decorative threads silver and gold, creates a compositional system in modeling the classic original and extremely flexible. 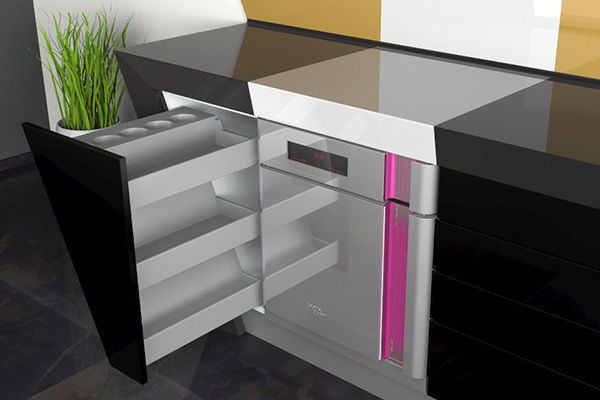 The EON 2 is a concept kitchen whose main highlight is the rotating bar. 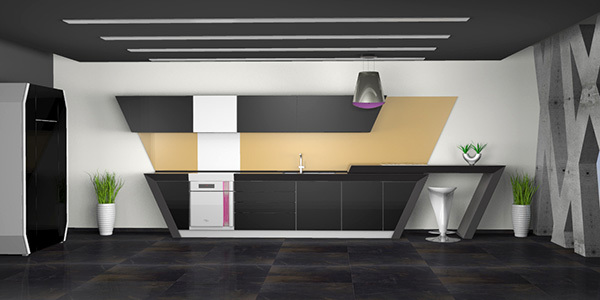 By moving this bar from linear to L-type, you get a chance to play around with the space, looks and orientation of the room. 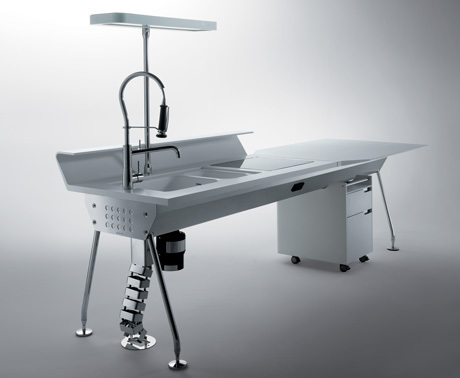 The minimalist design is supported with the use of high quality materials and fittings. 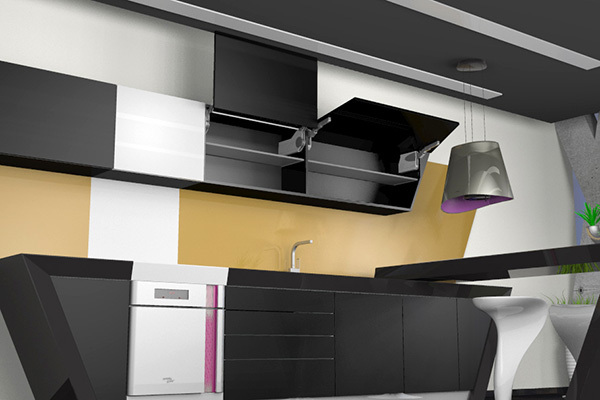 Essentially the rotating bar allows greater mobility of the kitchen and more space when the kitchen is not used. 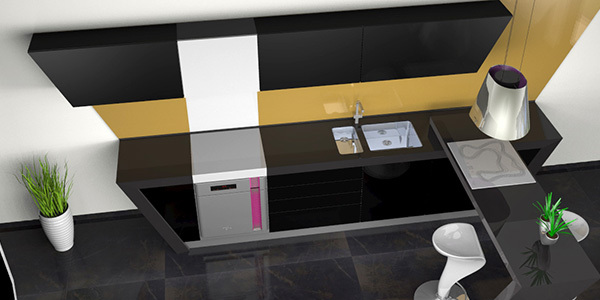 The kitchen fronts are made of painted MDF and worktop is a made of LG Hi-Mac acrylic composite material. Superior Brass are manufacturers & world wide distributors of unique traditional & modern brass hardware. Quality is never an accident, it is the result of intention, innovation and skillful execution. 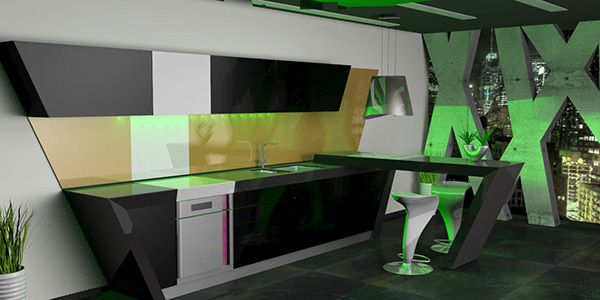 With over 4000 products, our site and catalogue is used as a reference and guide throughout the industry. Superior Brass are manufacturers & world wide distributors of unique traditional & modern brass hardware. Quality is never an accident, it is the result of intention, innovation and skillful execution. With over 4000 products, company’s site and catalogue is used as a reference and guide throughout the industry. Very close to nature, maybe too close!